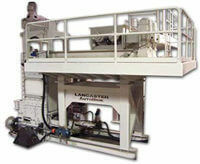 Lancaster Products AutoBrik Machine includes integrated pre-pug mill/feeder, adjustable hydraulic press and pushout, and an internal mold strike off. A brick made in a Lancaster Products AutoBrik Machine is a soft-mud brick created individually in wooden molds with a light sanding as a coloring and release agent. Water can also be used as a release agent, producing “water-struck” brick. This individual molding, combined with the unique Lancaster mold bumping system, can produce a very distinctive brick in high demand by architects and builders alike. The Model 24H Lancaster AutoBrik Machine was completely redesigned in early 2000 and has subsequently had several highly successful installations. This design reduces maintenance costs and improves total operating efficiencies while maintaining the molded brick style that brick markets have come to appreciate and that brick producers have found so profitable for over 150 years. The complete Lancaster AutoBrik Machine (ABM) Production System is under the control of an Allen Bradley/Siemens PLC based Lancaster Control System. The system has PLC controlled linear hydraulic action for the press, the pushout, and the demolding system. Individual VFD motor action has replaced the single source mechanical power of previous designs. The Model 24H Lancaster AutoBrik Machine comes standard with an integrated pre-pug mill/feeder, adjustable hydraulic press and pushout, and an internal mold strike off. The Model 24H is a PLC controlled, hydraulic operation. 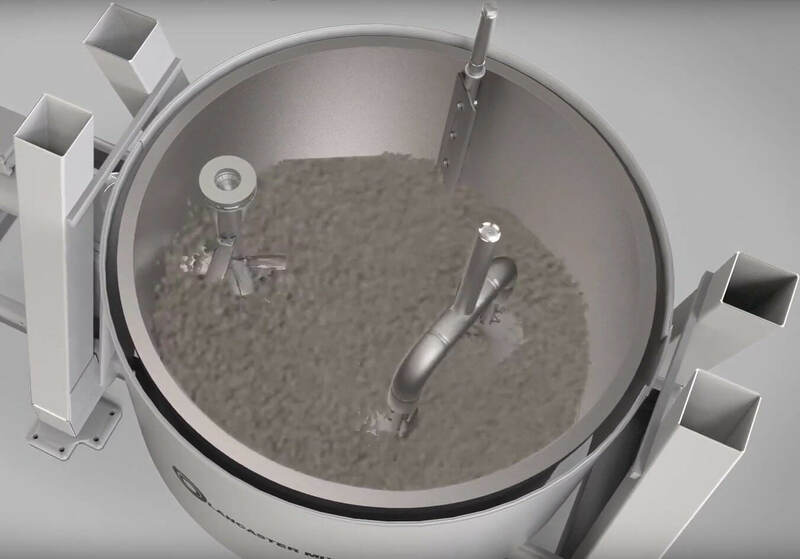 The PLC and simple mechanical movements allow for quick and easy adjustments to change shapes and optimize quality and production. The Model 24H accommodates very large mold boxes and can use the PLC control to fill difficult shapes by performing multiple press box fills and multiple presses. The Model 24H can be offered as a completely automated system with mold handling, pallet insertion, and dryer car loading.